Are you trying to figure out how you’re going to find the right Martial arts schools 76248 for your family? Maybe you guys are interested in developing and bettering your minds, bodies, and souls, but you don’t know where to go. If you’re interested in getting better on a steady and healthy basis, we think Tiger-Rock is the place for you. Read more to learn information and details on the classes, courses, and programs we’ve created for people just like you! 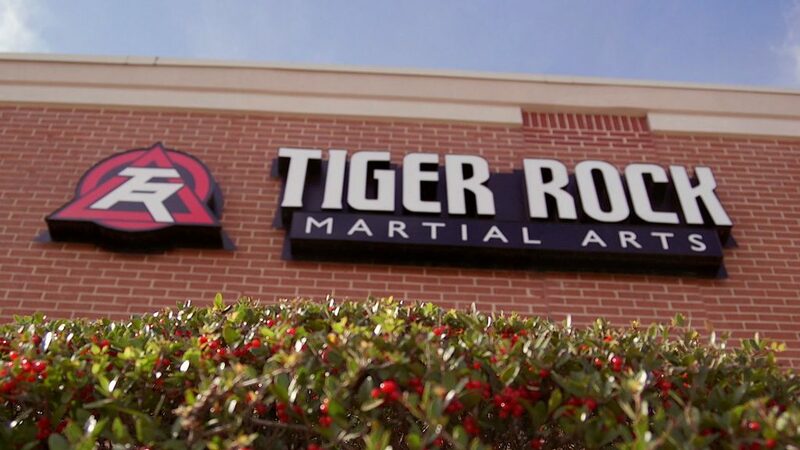 Tiger-Rock Martial Arts first started back in 1983. Once upon a time, we were an unassuming dojo that just wanted to help local citizens develop their Taekwondo skills. Today, we are the most well-known and successful martial arts franchise in all of America. You can count on our tried and true methods of martial arts and karate training to help you succeed. If you’re trying to make sure you have the right physical and mental drills for your personal betterment, let us know. Our team is here to help you find the right direction and begin your steady improvement. Are you realizing that you’re unable to get the most out of your physical fitness levels by yourself? Maybe your muscles have atrophied over the years and now you’re unable to lift as much or run as fast as you used to. This is something that nearly everybody goes through, and it may seem very insurmountable at first. After all, feeling your physical fitness regress right before your very eyes is something that nobody wants to go through. If you’re trying to do better for yourself but you don’t know how this is going to happen, make sure you visit Tiger-Rock. Our professionals want you to be able to get the most out of your physical capabilities, and we’re here to help you if things get tough for you. The exercises you will go through on a regular basis here at TRMA are absolutely perfect if you’re trying to level up your physical fitness. While strikes, kicks, form exercise, and other drills might seem monotonous, they are incredibly valuable. When you incorporate these into your daily routine, you’ll definitely see improvements steadily adding up for you. While making sure your body stays lean and mean is absolutely critical for overall health, your mind should not be ignored. Are you trying to figure out exactly how you’re going to get your mental lapses under control? Maybe you have been losing concentration on a steady basis for the past few months and you’re beginning to feel like you won’t be able to get over this on your own. Whatever the case may be, know that our professionals are here to make things better for you and give you the support and training you need. Our team understands that this is something that can get the best of even the strongest man in America. Your mind is very sensitive and delicate, and it needs to be taken care of as such. Because of this, make sure you train it and make it into the best possible vessel it can be by training right here at Tiger-Rock. Our classes promote self-confidence, discipline, and cognitive performance. You’ll definitely be able to improve yourself if you commit yourself to the programs we place forth for you. Did you know that Martial arts schools 76248 are being looked at as some of the best ways to develop your physical and mental capabilities? When you feel like you’re unable to make the most out of your natural born self, let us know and we’ll be here to help. Korean Taekwondo is a lot more than just punching and kicking. It is an art that helps humans become more confident, disciplined, and aware of their surroundings. These are things that can absolutely transform your life, and it’s important to value them. If you’re unable to get the most out of yourself and you’re ready to start doing better, this is the place to be. Competitiveness is something that no amount of money can buy. Are you beginning to realize that you and your family need to find the fire within and begin developing a passion for life? Maybe this has been lost over the past year or so, and now you’re ready to reclaim the zeal that left you. If you’re ready to start doing better, take advantage of the yearly tournaments we have to offer you. These will provide you with opportunities to spar and train with people just like yourself. We want our students and pupils to be able to meet each other and sharpen their skills. If this is something you’re interested in, TRMA is a great training grounds to start placing your time and effort in. Call Tiger-Rock of Keller for more information! Tiger-Rock is ready to help you master martial arts! Finding the right Martial arts schools 76248 can be a difficult task, and it’s not one you should take lightly. If you’re ready to start doing much better and you’re trying to find the best place to invest in, we think Tiger-Rock of Keller is the right option. For more information on our classes, courses, and programs, visit our dojo today. Because of our expert instructors and programs, we can help you hone your skills and get better at Korean Taekwondo. Let’s jump start your transformation! Our team believes in you, and with our guidance, you, too, will learn to believe in you. Movoto ranked Keller as one of the five safest neighborhoods in all of Fort Worth. Thanks, Movoto! Keller is a great place to live on the fact that we have affordable residences and real estate. If you’re trying to find a quality house or apartment for a fair price, you can count on this city to be what you need. Keller is a part of the Tarrant County of Texas. As a piece of the DFW area, you can enjoy a lot of metropolitan benefits when you visit Keller. We are one of the best small cities in America, and we continue to improve. Visit us to learn more about our budding community!